RUSH: She was a singer/actress. She starred in Oklahoma, the Broadway production and they made a movie out of it. She’s the mother of David Cassidy, and she was the vocal mother of the voice of the recording group The Partridge Family. 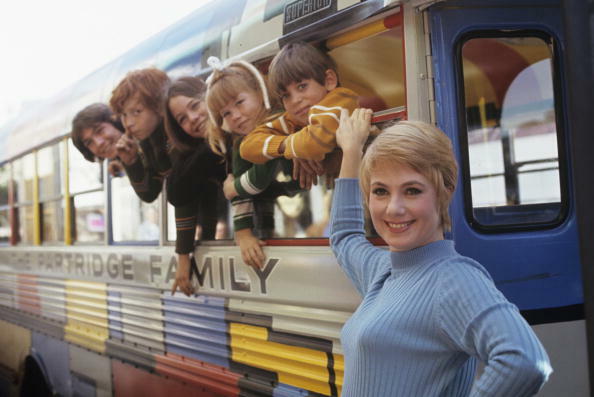 And there was a TV show called The Partridge Family. It goes back to the seventies, the days of racism, bigotry, sexism, homophobia, and all the stuff where Jim Crow survived, the boom period of the past. (paraphrasing) “Oh, no, she said, there’s no way. Times were much happier. People were much happier back then. You couldn’t put a show like that on the air today and have it survive. People would mock and laugh at the happiness on our show.” And I thought she had a good point, what she was saying. It’s not that the show’s old-fashioned; it’s that culturally it wouldn’t fit, because it would be mocked as not being representative of the real America because there’s too much happiness on the show.